Very few of us have ever experienced a time without computers, cell phones, Netflix, and the likes. No longer are we looking for homes with big backyards but instead homes that have access to high speed internet and cable. Our generation experiences things differently than past generations. We desire reliable home networking, we want to be connected at all times. In order to do this, we need methods to distribute audio, video, and data throughout our entire home, as we would the networks in our workplaces. We accomplish this through structured cabling, also known as low-voltage wiring, that is professionally installed to allow the technology within our homes to work together. Home networking allows our private collection of devices (computers, phones, gaming consoles, printers, and more) to connect to one another through a router or switch thus creating a local network. A network within your home creates an environment where your devices are able to communicate with one another. This leads to endless opportunities such as media streaming, network backup, multi-player gaming, and more. Without any knowledge on how to network your devices the process of connecting all the pieces together can seem daunting. There are many companies, like Creative Programs and Systems, that offer both residential and commercial networking services, including structured cable installation. There are a number of devices that are at the center of connecting devices within your home or business alike. Routers, switches, and modems are all equally important entities in creating an efficient network. Modem: A modem is a device that can either be rented through your internet service provider or you can purchase your own. A modem turns their network signal, which runs through a phone line, copper coaxial, or glass fiber, into a normally accepted computer network signal. For some generations this connection came from the modem dialing into a telephone in order to establish a connection. You could hear the connection trying to be established back in the day, today’s connections are silent and operate over a different infrastructure then a landline telephone. Router: The router is a central point of contact between the devices within your network and the internet connection that is provided by your modem. In some cases, the modem will be built directly into the router. If you have both a separate router and modem, the router will plug into the modem with an ethernet cable plugged into the Wide Area Network, WAN port on the router. Switch: A switch is used to extend your network. It takes one port and turns it into many. Switches can be purchased in a number of sizes from 4 ports to 24. Most switches that are used in networking homes are unmanaged, which means you just plug them in, and they are already configured correctly. 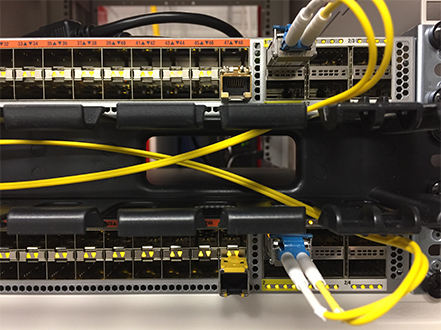 Managed switches are mainly installed in commercial settings where different priorities are assigned depending on their importance. 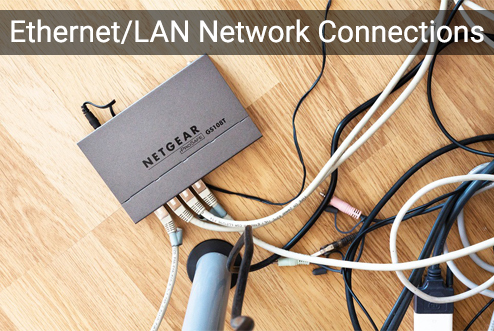 Not only are there a variety of devices used to centrally connect your home there are different types of network connections. Ethernet/LAN: The physical cables that plug into your router or switch into a LAN port are known as providing a LAN or Ethernet network. LAN cables can be run up to 100 meters without any lag in performance. The only factor that really limits this connection is messy cabling between doorways and through walls. Wi-Fi/Wireless LAN: This type of connections functions similar to Ethernet or LAN without the need for cables. Instead the connection occurs through radio waves and doesn’t require messy cables. There are also several methods of connecting to the internet including: Dial-Up, DSL, Cable, satellite, and USB dongle. A lot of different pieces need to come together to create a flawless system when it comes to creating a home network. The professionals at CPS specialize in both commercial and residential networking including structured cabling installation. Creative Programs and Systems, CPS, is an all-inclusive IT solutions company offering a variety of services including: managed IT services, IT consulting, residential computer services, custom programming, website design, iphone & android app development, and more. More information can be found at https://cpsmi.com. Can you believe it has already been 15 years since Google introduced Gmail? We are team of professionals who are dedicated to help your business succeed. We produce invaluable computer software, effective SEO and IT support, giving you the results you need.